Editor’s Note: From the low profile of its row units to the fin design of its auger, every component of the Drago corn head is engineered for added yield and durability. This is the first in a series of Row by Row articles detailing how Drago’s “yield-first philosophy” influences the design of its components. Many features of a Drago corn head – whether designed to capture yield or to add strength and durability – are so simple and common-sense that even Drago is baffled why other brands haven’t adopted them into their corn heads. Starting with having with the lowest profile in the industry. “Drago corn heads have a working angle of 17-23 degrees, which is the flattest in the industry,” says Dustin Bollig, Marketing Director for Drago Corn Heads. “The lower profile leads to better feeding because you’re fighting less gravity, meaning ears move up the row unit easier decreasing ear loss and kernel detachment. He believes one answer to that question may lie in the cost of doing so. “Many of our competitors mount their row units on a tool bar or tube with bolts, which is less expensive,” Bollig says. 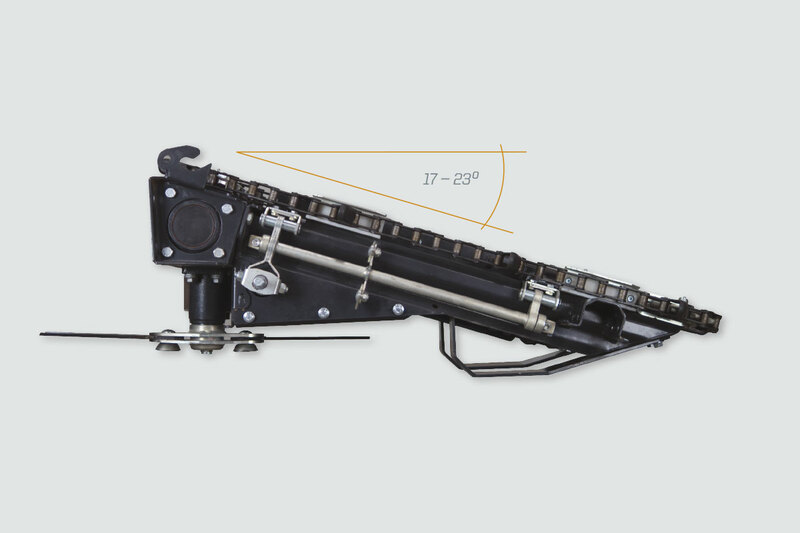 “Drago gets its low angle starting with its custom formed frame and unique row unit gearbox design that also delivers greater overall rigidity and strength to the corn head itself. Bollig adds that while Drago’s lower profile has obvious yield-saving benefits during a normal harvest, it offers a significant advantage in down corn. 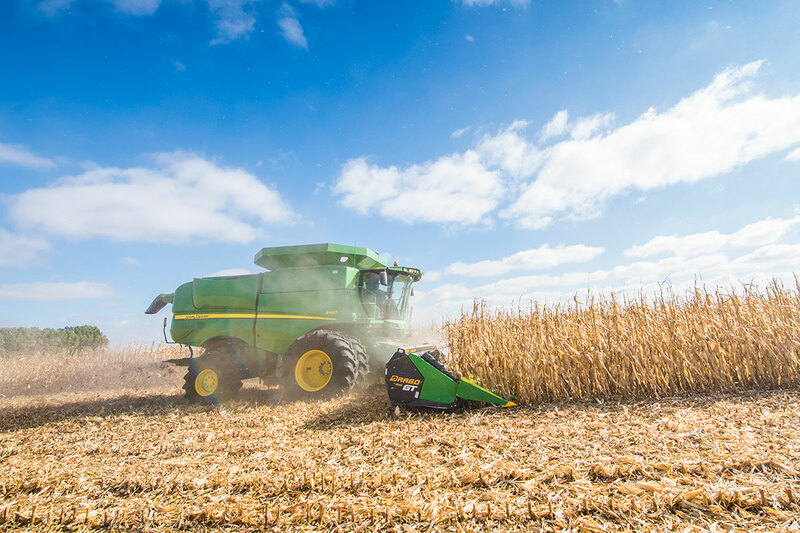 Relating the movement of a corn head to that of a scoop shovel, Bollig says, the lower profile of the Drago corn head allows the chains to be close to the ground to lift stalks up and through the row unit smoothly, rather than “push” stalks along with a steeper angle during harvest. It’s unlikely you’ll hear any other corn head brand talk about gathering chains with the same enthusiasm as Drago. Considered one of the more differentiating components of Drago’s kernel capture technology, Drago’s gathering chains demonstrate the level of detail and harvest intelligence that are part of the corn head’s overall design and engineering. Along with their “yield first” design, Bollig says the gathering chain components are built to be long-lasting and trouble-free. Another durability feature can be found at the sprockets that drive the gathering chains. “The drive sprockets on some corn heads use bushings, while Drago corn heads feature a double-bearing system for extended wear.